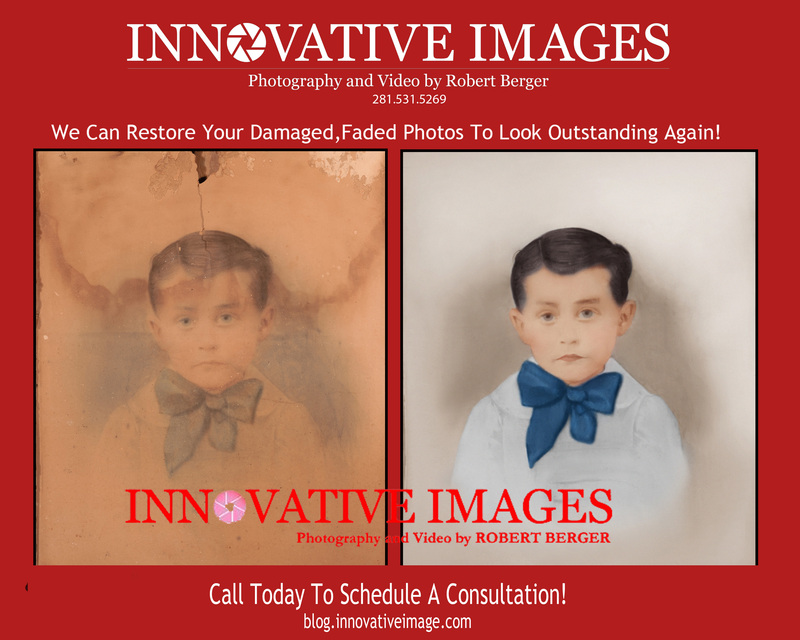 Sample photo of before and after photo restoration. The original photos was faded, with water spots fllood damage all over the photo. Restored photo is next to it.